Marvel Appliance Repair | RD Appliance Service, Corp. 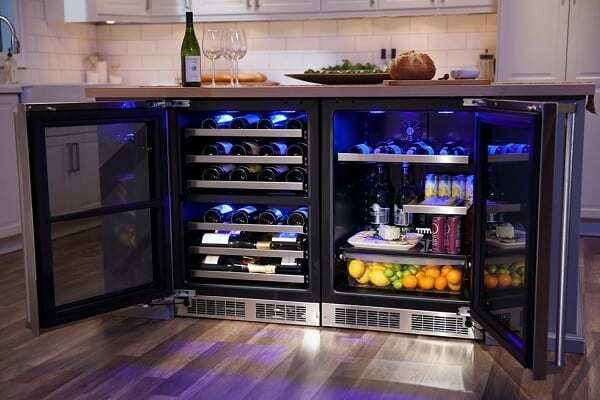 In the world of luxury home refrigerators, no company has bragging rights like Marvel. Not only do they make some of the world’s best refrigeration appliances, but they’ve been doing it for over 125 years! Marvel is North America’s longest-standing refrigeration company, but even that doesn’t prevent their appliances from breaking down occasionally. So if you’re searching for reliable Marvel appliance repair Long Island, look no further than the experts at RD Appliance Service, Corp.
We’re the most trusted, experienced Long Island Marvel appliance repair service company. Our seasoned technicians work on all models and configurations, so no matter what’s wrong with your Marvel appliance, we can fix it fast. The manufacturer themselves recently chose RD Appliance Service, Corp. as their Marvel factory authorized servicer for the Long Island area, so you can be sure we’re the best at what we do. Why let your high-end Marvel appliance be serviced by anyone other than the company handpicked by the manufacturer? Choose Long Island’s professionals in Marvel appliance repair, RD Appliance Service, Corp.
Marvel refrigerators have a reputation for sturdy build quality and reliability. They don’t tend to break down as often as some other brands, but when they do, you need an expert trained on every aspect of Marvel appliance repair. That’s where RD Appliance Service, Corp comes in! Our knowledgeable technicians repair all Marvel models and appliance types. Is your Marvel wine cooler not cooling, or has your Marvel ice machine stopped producing ice? We’ve got you covered! We can fix it quickly and to factory standards. Call RD Appliance Service, Corp today for Long Island’s factory authorized Marvel appliance repair service. 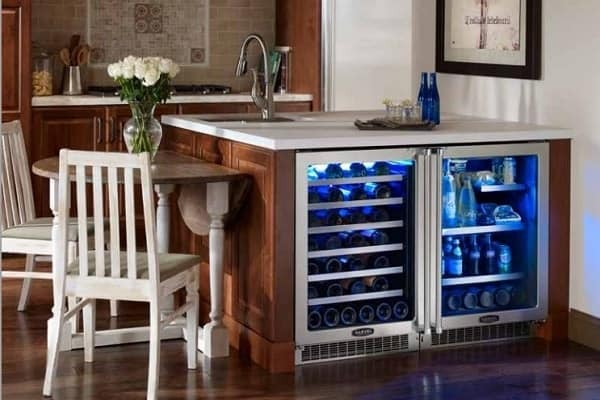 Over the years, Marvel has earned its reputation as the industry’s leader in high-end undercounter and outdoor wine coolers and beverage centers. Don’t hesitate when your unit malfunctions though, call RD Appliance Service, Corp right away for Marvel appliance repair service. Not to be outdone by their little brothers, Marvel produces several equally high-quality full-size refrigerators, as well as ice makers, freezers, kegerators, and more! RD Appliance Service, Corp works on all Marvel units, so make an appointment with us today for first-class Marvel appliance repair service.